A truly original concept for contemporary travellers, where from the first moment you can enjoy a relaxed atmosphere and feel at home. N Artbeat Rooms we offer the maximum comfort a traveler could wish for. 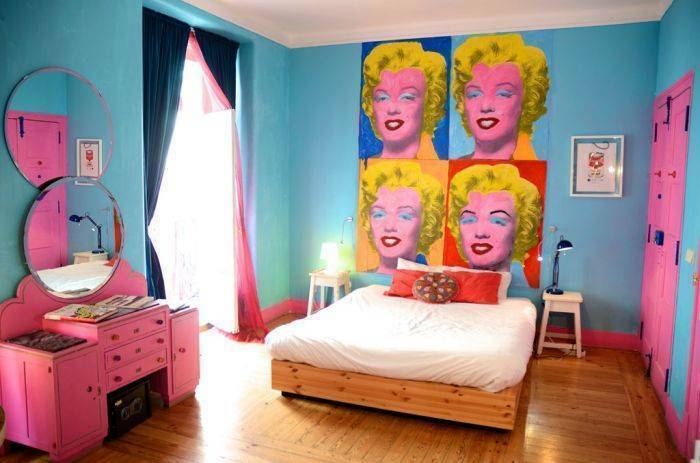 We have 5 rooms, full of colour and style, each one inspired by a different artist (Picasso, Warhol, Hirst, Basquiat and Van Gogh). These exceptional personalities with distinguished styles have created true works of art, giving a touch of bohemian spirit to this unique spot in the heart of Lisbon. Located in the very center of Lisbon in an 18th century charming building, just between Alfama, a traditional portuguese neighbourhood, famous for its Fado music, and Bairro Alto, a trendy yet old neighborhood known for its bars, restaurants and vintage shops. We are right next to all transports (buses, trams, metro and airport shuttle), as well as the legendary 28 tram, but in fact Artbeat is so central that most things are in walking distance. You can prepare your own meals in our well-equipped kitchen and eat either in the living room or in your own little balconny! W provide self-service breakfast in the morning and free tea and coffee all day. Just help your self! In our big fridge you can find beverages and typical portuguese drinks for a good price. Here “the music killed the TVstar”. 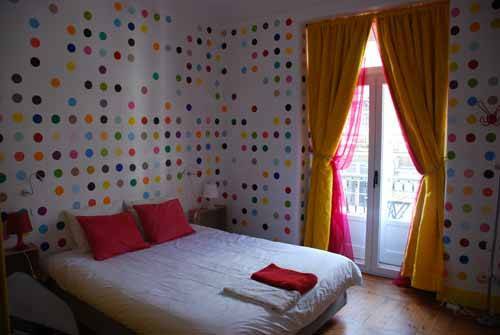 Matching the rooms, we have carfully chosen music for you to enjoy, such as art books and magazines. If you wish, you can also use our free WI-FI service. We have maps at your disposal, great tips about visiting Lisbon, as well as up-to-date events information, as we ourselves really enjoy the city and have all the pleasure to share that with you. 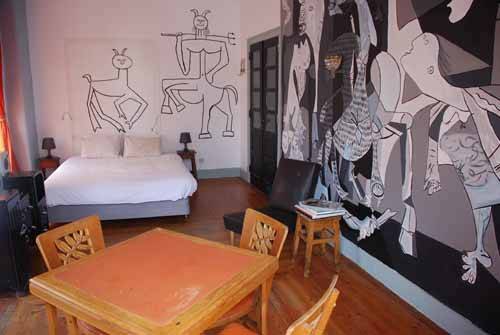 Artbeat Rooms has 5 comfortable and clean rooms, each one of them inspired by different and remarkable artist. 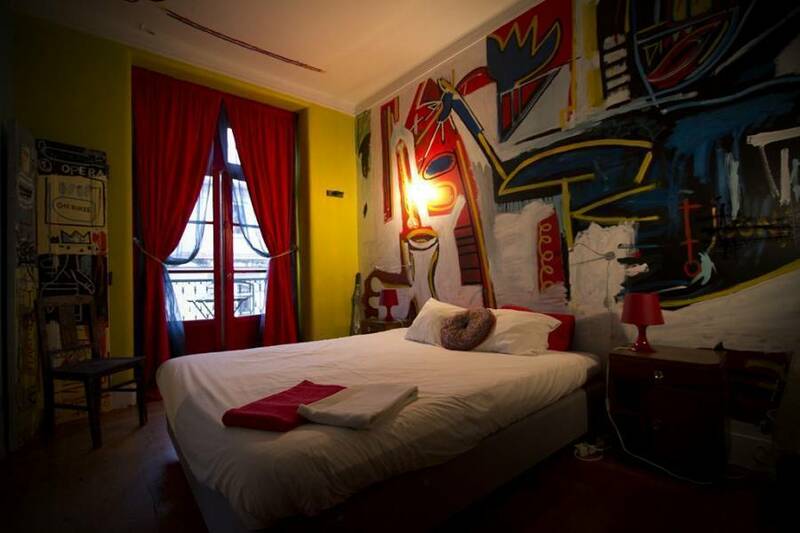 All rooms have comfy double beds, colorful decoration, good music and a little balcony. 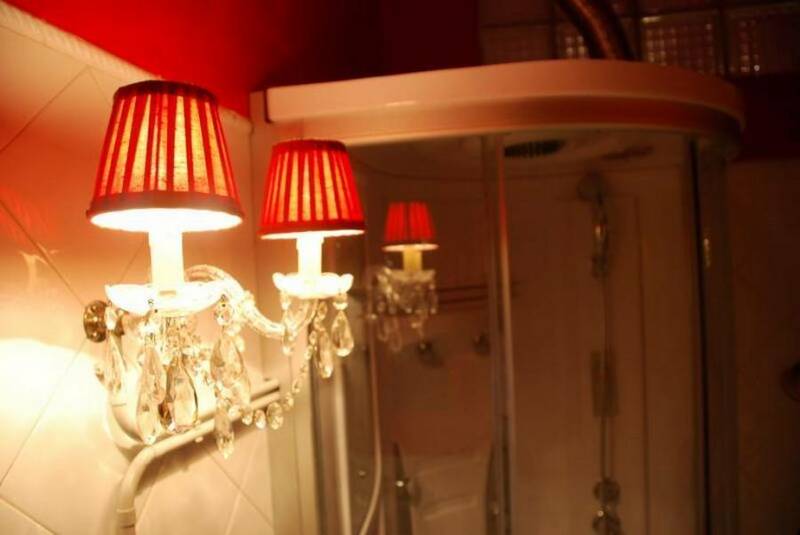 We provide shared bathrooms, therefore, there aren’t any private toilets in the rooms. Artbeat Rooms is located in the most central part of Lisbon (Baixa/downtown), perfectly within walking distance to the Castle zone with its lovely "miradouros", and Alfama with its neverending sound of Fado, and neverdrying loundry hanging by the windows letting you scent the spirit of old Lisbon. On the other side of Baixa, you enter the fashion and designers’ area, Chiado, and Bairro Alto with its incredible energy, loads of bars and restaurants. Catch 44 or 745 bus (regular buses - 1, 75€) or Aerobus 91 (3, 50€ - the ticket is 24h valid for other buses and trams), get out in Praça de Comércio and go under the Arch to Rua Augusta. Turn into fourth street on the right (Rua São Nicolau). 5 minutes by metro (1, 05€)- 2 stops till Terreiro do Paço, there you go out in Praça de Comércio and follow as above. It as 15-20 minute walk. Taxi is about 6 euro. Get till Baixa-Chiado metro station (on metro station buy Viva viagem card and charge it with Zapping. One journey -1, 05€) and go out to exit “Rua do Crucifixo”, then turn right and afterwards on the left you will turn in São Nicolau street.